2017 Toyota Corolla Performance: An Efficient, Responsive Sedan! If you’re looking for an affordable and dependable compact sedan near Fort Lauderdale, the 2017 Toyota Corolla is a sure bet. 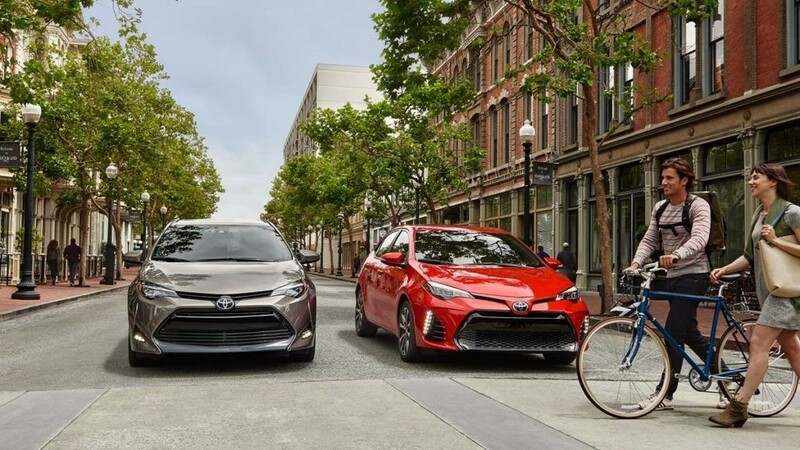 Delivering confident performance to Miami drivers with an MSRP from just $18,500*, the Corolla also promises excellent fuel economy along with its well-known reputation for reliability. Learn more about what you can expect under the hood of the new Corolla, and then test drive it in the trim level of your choice at Toyota of North Miami. The Toyota Corolla comes standard with a 1.8L inline-four DOHC 16-valve engine with Dual Variable Valve Timing with intelligence. With most models, this engine setup makes a balanced 132 hp and 128 lb-ft of torque. You can upgrade to the LE ECO trim, which uses valvematic engine technology, a rear spoiler, and special tires to produce 140 hp and superior fuel economy. The Corolla lets you choose between the efficiency-enhancing nature of a continuously variable transmission or the full control of a 6-speed manual transmission. With the LE ECO trim, you can get up to an EPA-estimated 40 mpg highway, while other trims range from 35 to 38 mpg highway. In addition to the features mentioned above, drivers interested in enjoying a sportier feeling behind the wheel of the 2017 Toyota Corolla will find what they’re looking for with the SE trim. This rendition of the Corolla introduces a number of bonus features to the mix, including a chrome exhaust tip and rear spoiler, as well as a sporty gauge cluster that enhances the driver-centric nature of the cabin. You can also get it with paddle shifters and an available Sport mode. Hollywood drivers in need of reliable, confident, and efficient performance from an affordable and well-seasoned sedan will find the 2017 Toyota Corolla to be a smart and pleasing pick. Put the new Corolla’s performance to the test at Toyota of North Miami, located at 166600 N.W. 2nd Avenue in Miami, FL. We have a number of new Corollas for sale, and our showroom is open seven days a week! Contact us online or call us at (305) 974-1103 for more information.